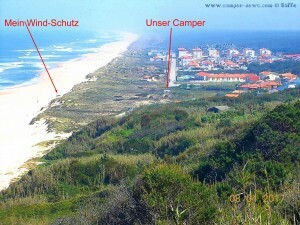 Parking on Asphalt on a big Parking behind the Dunes – Rua Marecos do Sul 12 – Quiaios 3080-514, Portugal (1st Parking). Parking on Grit/Green on a little Parking behind the Dunes – Rua Marecos do Sul 12 – Quiaios 3080-514, Portugal (2nd Parking). A lot of Shops you find near in Figueira da Foz. A little Beach-Bar is directly here at the 1st Parking. In InterMarché in #Figueira da Foz –> Propangas / 26 EUR. 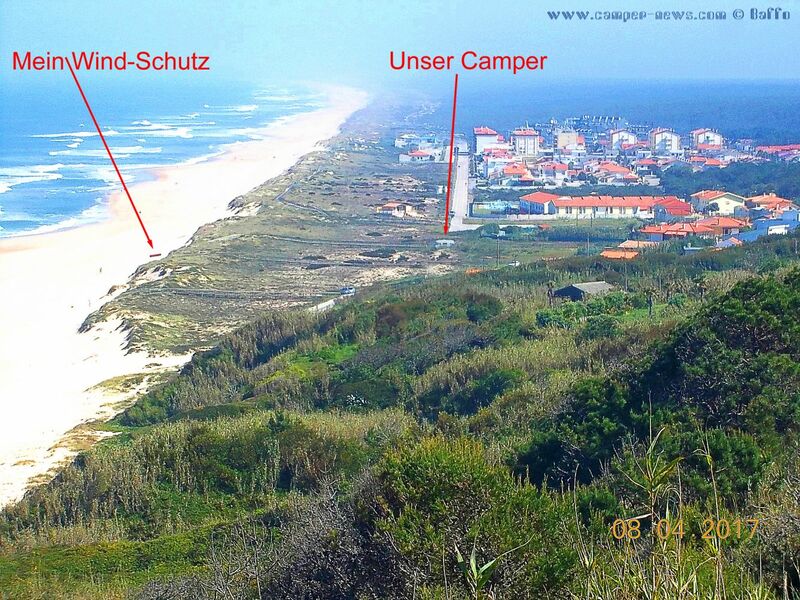 Dieser Beitrag wurde in Countries, Free Camping - Wild Camping, GPS, Portugal, Travel-Facts veröffentlicht und mit CampingCar, Centro, Coast, Coimbra, Figueira da Foz, Freistehen mit dem Wohnmobil, Küste, Living in the Camper and traveling trough Europe and Morocco, Mediterranean Coast, Meer, Mittelmeer, Motorhome, Parking at Praia da Murtinheira - behind the Dunes - Rua Marecos do Sul 12 - Quiaios 3080-514, Portogallo, Portugal, Portugal – Apirl 2017 - (2nd Parking), Portugal – April 2017 - (2nd Parking), Portugal – April 2017 (1st Parking), Praia da Murtinheira, Quiaios, Reise, Reisen, Reisen im Wohnmobil, Reisen im Womo, Reisen in Portugal, Reisen in Portugal mit dem Wohnmobil, Reisen mit dem WoMo in Portugal, Travel, Travel in Portugal, Travel with a Camping Car, Travel with a CampingCar, Travel with the Camping Car in Portugal, Travel with the CampingCar in Portugal, Travel with the Motorhome, Travel with the MotorHome in Portugal, Unser Camper, Video, Vodafone is running here with 5 Bars and HSUPA getaggt.